This article is from Upserve. Upserve is the industry’s leading full-service restaurant management platform. Built specifically for restaurants, Upserve’s technology suite includes Breadcrumb Restaurant POS, online ordering, and analytics technology that makes it possible for restaurateurs to make data-backed decisions every single shift. Everyone knows that technology can make your life easier. But did you know that technology can also help your restaurant increase sales and help your wait staff earn more tips? 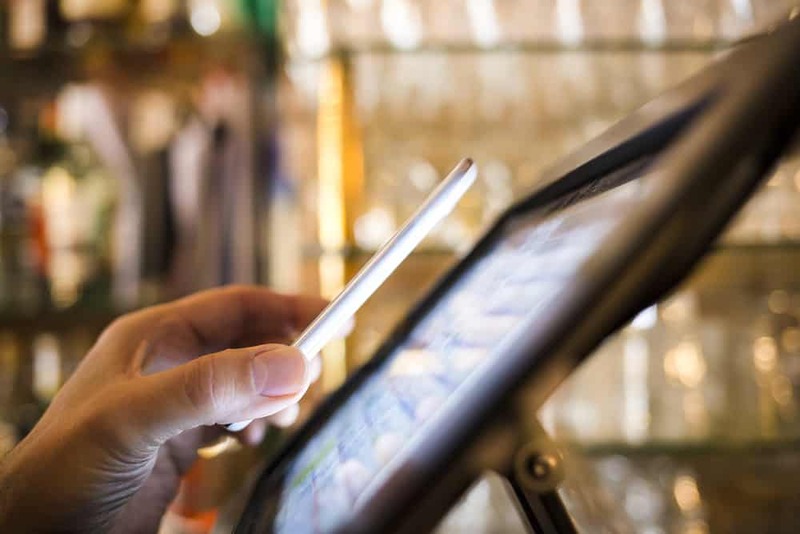 Here Are Three Ways to Leverage Technology and Increase Your Restaurant’s Bottom Line. Getting more business relies on having a deep understanding of what your customers want — when, where, why, and how they want it. Even though you might have an idea of what your best selling items are, do you know what times of day, trigger the most sales? Once you gather those insights such as— “Hey! Our wings sell best during happy hour and late nights!”— you can put those insights to work for you by designing promotions around them. There’s no escaping it—the way that people decide where to dine and which restaurants to avoid is through the Internet, often through social media. If you’re not paying attention and carefully managing your online reputation, you could become one of those places with a one-star rating that everyone avoids. However, that doesn’t just happen to places with bad food. It happens to great places that just don’t have the time or resources to have a full-time marketing person monitoring their online presence, which is why there is review monitoring technology that can do it for you. With one platform, you can collect all of your reviews from across the web in one place, which saves you time when managing your reputation. Loyalty programs can turn one time guests into regulars. When The Plant Cafe, an organic restaurant in San Francisco, switched their cafe POS system to a modern, cloud-based system, they were able to analyze the performance of their loyalty program whenever (and from wherever) they liked. This out-of-the-box loyalty program enabled The Plant Cafe to reap the benefits of a full-fledged loyalty program with ease. The Plant Cafe’s customers who are part of the loyalty program come in an average of 20 times each year, according to Upserve. While it might seem daunting to start running all of this new technology, the technology is designed to be simple and intuitive, making it easier than ever to leverage technology at your restaurant. I agree that you should treat employees well in order to retain them. However, I don’t really agree with your suggested methods. As a former server, the best bosses, the ones who made me want to work harder just because I respected them, were the ones who trusted us and treated us with respect. Cash incentives would have just made me feel uncomfortable and stressed. Technology is everywhere in business these days. Why not use it to your advantage. Technology helps get a better idea of what your customers are thinking if you use it properly and can also help institute new and innovative programs whether it be a loyalty program or something else.